The Minnesota dentist accused of killing a beloved Zimbabwean lion has gone into hiding after a social media storm that included death threats. In a statement to the press, he claimed the hunt was legal. Hunting tourists kill about 600 lions annually. 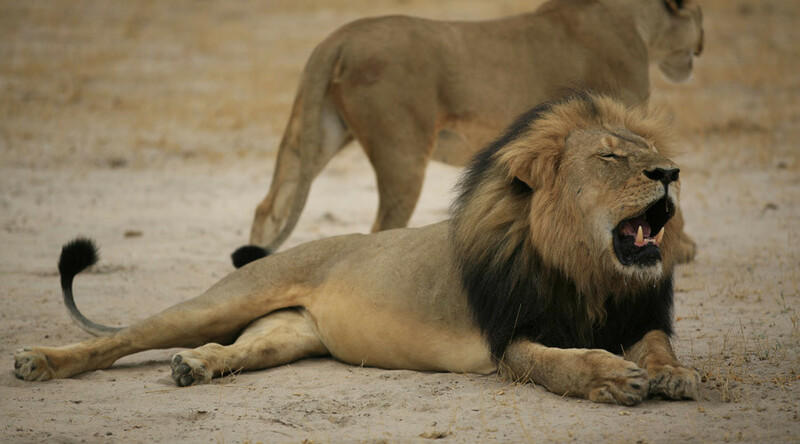 Cecil, a 13-year-old lion in Hwange National Park, was killed earlier this month. He was reportedly lured outside the park, shot with an arrow, and followed for 40 hours before the hunters finished him off with a gunshot. Zimbabwean officials blamed a Western hunter for the kill, and identified him as Dr. Walter Palmer of Minnesota to a UK newspaper, the Telegraph, on Tuesday. What followed was a veritable “volcano of hate,” according to one social media analyst. As people around the world called for Palmer’s death and dismemberment, posted his phone number, home address and other details online, and trashed his practice in online reviews, the dentist went into hiding. One local news reporter went out to Palmer’s office, finding it closed. 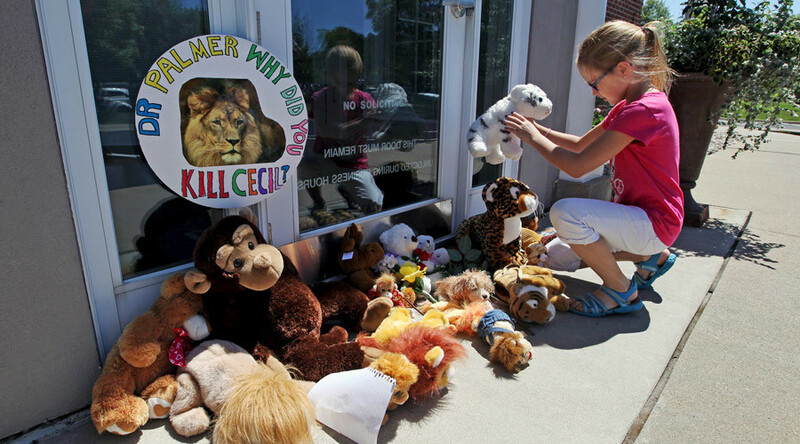 Signs denouncing the dentist as a murderer and "scum bag" (sic) were posted on the door, while a collection of stuffed animals - with a plush lion front and center - adorned the entrance as a makeshift memorial. Animal rights activists have scheduled a protest in front of the office on Wednesday afternoon. The dentist defended his actions in a statement sent late on Tuesday to the Minneapolis Star-Tribune. “I deeply regret that my pursuit of an activity I love and practice responsibly and legally resulted in the taking of this lion," Palmer said. Zimbabwean authorities say it was Palmer’s guide who reported Cecil’s death to the authorities, saying it was a mistake. Theo Bronkhorst of Bushman Safaris faces a charge of poaching, along with the owner of the land on which Cecil was shot, identified as Honest Trymore Ndlovu. Palmer has not been charged yet, though the authorities said he might be. Trophy-hunting tourists legally kill more than kill 600 lions each year, according to the International Union for the Conservation of Nature (IUCN). That is approximately 2 percent of the entire African lion population, currently estimated at 30,000. A 2011 report by the International Fund for Animal Welfare said that between 1999 and 2008, American hunters accounted for 64 percent of the kills. An employee at Palmer’s office told reporters the practice will remain shut through the rest of the week. After Tuesday’s social media mobbing, there is no telling whether it will ever reopen, though.